Scottsdale, AZ–(MARKETWIRE-February 18, 2014) – Echo Automotive, Inc. (OTCQB: ECAU) (“Echo Automotive”, “Echo” or the “Company”) a developer of technologies enabling the cost-effective aftermarket addition of fuel-efficient plug-in hybrid capability to new or existing vehicles, today announced plans to extend its industry award-winning EchoDrive plug-in hybrid system to GM 2500 and 3500 vans, including the Chevrolet Express and GMC Savana, model years 2010-2014. Production is expected to commence in the first quarter of 2015. 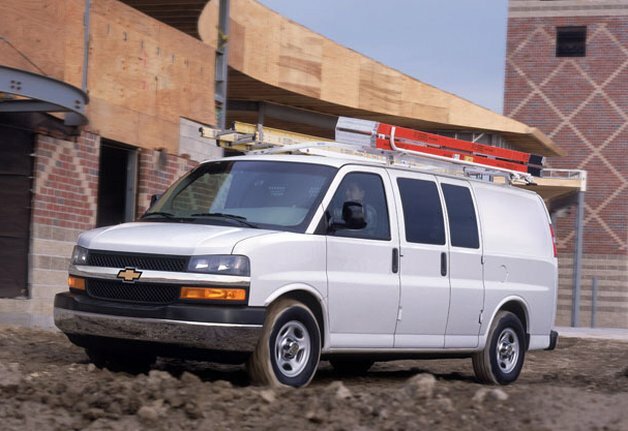 The Chevrolet Express is second only to Ford E-Series vans in North American commercial fleet registrations, and trails only the E-Series and Dodge Caravan in government fleet registrations, according to the most recent statistics published by Business Fleet. EchoDrive currently is available for Ford E-Series vans. EchoDrive delivers a non-invasive plug-in hybrid solution for new or existing vehicles without high infrastructure costs. It offers fleet managers a low-cost point of entry to high fuel efficiency as well as a long product lifespan and financing options that make shorter return-on-investment possible. A nationwide network of industry-leading install and service providers supports the EchoDrive system. Orders are currently being accepted and production of EchoDrive units for the E-Series platform is scheduled to begin later this year. Production for the GM series is expected in early 2015. Echo Automotive™ is a technology company that specializes in delivering cost-effective electrification products and solutions that are purpose-built to maximize fleet transportation efficiency and provide optimal return on investment. The key to Echo’s strategy is the bolt-on nature of its solutions, which reduce operating costs and increase efficiency without affecting original vehicle operations. Additionally, Echo offers technology licensing, and consulting in design, energy storage, propulsion, conversions, and vehicle engineering. For more information, please visit www.echoautomotive.com. This news release contains “forward-looking statements” as that term is defined in Section 27A of the United States Securities Act of 1933, as amended, and Section 21E of the Securities Exchange Act of 1934, as amended. Statements in this news release which are not purely historical are forward-looking statements and include any statements regarding beliefs, plans, expectations or intentions regarding the future. Actual results could differ from those projected in any forward-looking statements due to numerous factors. Such factors include, among others, commercial rollout of the EchoDrive™ system in 2014, target market, development of technologies and products, and business strategy. These forward-looking statements are made as of the date of this news release and we assume no obligation to update the forward-looking statements, or to update the reasons why actual results could differ from those projected in the forward-looking statements. Although we believe that any beliefs, plans, expectations and intentions contained in this news release are reasonable, there can be no assurance that any such beliefs, plans, expectations or intentions will prove to be accurate. Investors should consult all of the information set forth herein and should also refer to the risk factors disclosure outlined in our annual report on Form 10-K, our quarterly reports on Form 10-Q and other periodic reports filed from time-to-time with the Securities and Exchange Commission.